We offer a complete material solution for ATR 42, ATR 72, EMB 120, ERJ 135, ERJ 140, ERJ 145, E-Jet 170, E-Jet 190 and Legacy Operators – offering engines, engine components, APU’s and airframe components for these aircraft types. Airframe Parts is a supplier of airframes, avionics, auxiliary power units, and other structural components and spare parts to airlines, aircraft owners, MROs, FBOs, and aircraft and engine parts suppliers and distributors. Component Services is a supplier of engine components and spare parts in repairable, serviceable, or new condition. Similar to Aircraft Services, this unit serves airlines, aircraft owners, MROs, FBOs, and aircraft and engine parts suppliers and distributors around the world. Engine Sales buys, sells, and leases regional turboprop and turbofan engines, and exchanges engines for time-expired cores. In addition, this unit offers customized alternatives to OEM or 3rd party “Power-by-the-Hour” (“PBH”) programs. These maintenance programs are developed in collaboration with customers to address specific customer requirements. AeroVision serves as the outsourced management provider of engine maintenance, utilizing Component Services inventory to provide customers reduced engine operation and/or maintenance costs. AVI Sales & Leasing offers refurbished Embraer ERJ 135, ERJ 145 and EMB 120 aircraft. We launched our ERJ business in 2012 and have purchased over 65 ERJs since that time. The aircraft return to service and spare parts business has grown while 36 aircraft have been reduced to parts in support of this activity. AeroVision works with best-in-class MRO providers to rebuild and re-certify the aircraft, delivering customized products to meet the customer’s specific operational requirements. AeroVision is headquartered in Muskegon, MI. The Muskegon headquarters house the vast majority of the senior executive team, sales and marketing staff, purchasing, customer service, and administrative functions. 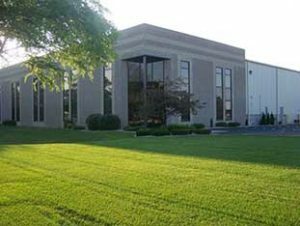 AeroVision also maintains an Aircraft Logistics Center in Muskegon, MI. This facility supports aircraft disassembly activity and serves as a warehouse for the growing airframe business and consignment inventories. The facility has also been approved for airport runway access. Additionally, AeroVision sales representatives work in Bristol, U.K., and Querétaro, MX.